Have you ever wondered why so many podcast hosts are desperately seeking writers to create their podcast show notes? After all, most podcasters simply write an overview, a summary of their podcast. There's nothing seemingly special about the task; no significant brainpower needed to get the job done - right? 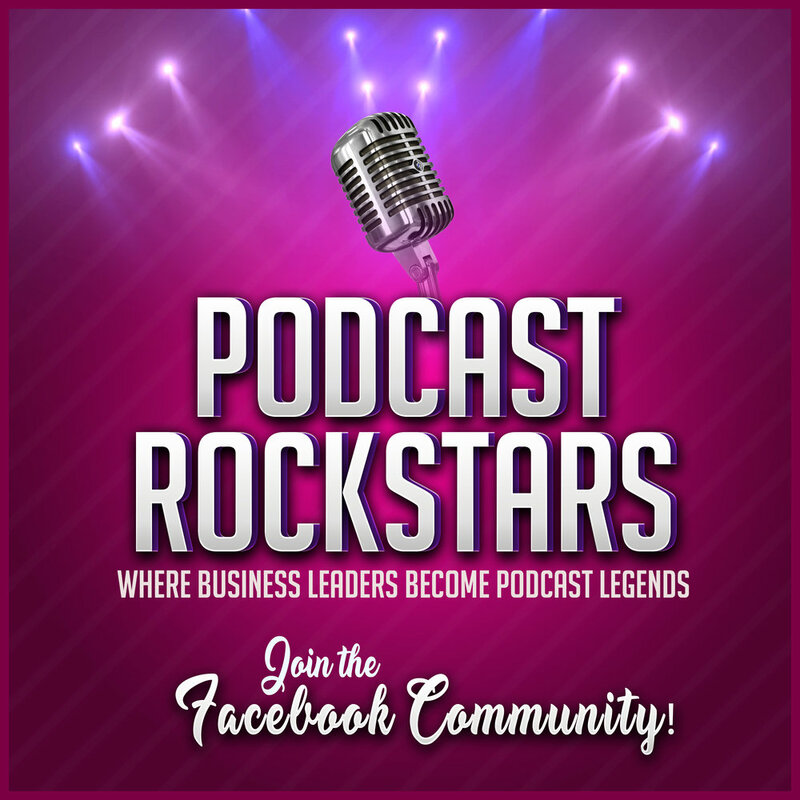 Today, I want to share with you why a growing number of podcast hosts choose to outsource the writing aspect of podcast show notes, and the value that hiring a professional can have on the overall success of your show. It's no secret that people want to read good, quality content on websites, blogs, and other written marketing materials. Podcast show notes are no different! Your listeners want to be able to read a brief, well-constructed overview of their episode before they take the time to click play. They want to know how this episode will help them gain insight, learn from you and your mistakes, or how they can relate to the "topic of the day." However, if your show notes are filled with so many grammar and spelling mistakes that it turns your written content into nothing more than what my friend would call "word salad," then you've already lost your listener before they've even given you a chance! Even if you hire one of the best audio editing teams in the country, if your show notes are sloppily thrown together, illegible, or would be better suited in the garbage next to last week's wilted lettuce, then you're not giving your podcast - or your listeners - everything they deserve. The best. Doesn't your podcast - and your audience - deserve the best? If "Content is King," then SEO is it's queen. Your audio doesn't come with built-in SEO benefits. They need written content to help rank in the search engines. That means, alongside good, quality written content, you also need to incorporate a few basic SEO skills and strategies. How much do you know about SEO, keyword placement, keyword density - or even keyword research? My bet - not much, if any. Although you don't need to be an SEO expert to get your podcast to rank well on Google, you do need to have some basic, fundamental concepts etched into your brain. This is where hiring an experienced writer comes into play. Many writers today know enough about SEO and how it works to deliver good, quality content that will also rank well for a particular set of keywords. They can write naturally while still incorporating keywords throughout the content to help new readers, and listeners, find your podcast episode. Let me ask you - how many hours per week do you devote to the pre- and post-production of each episode you produce? 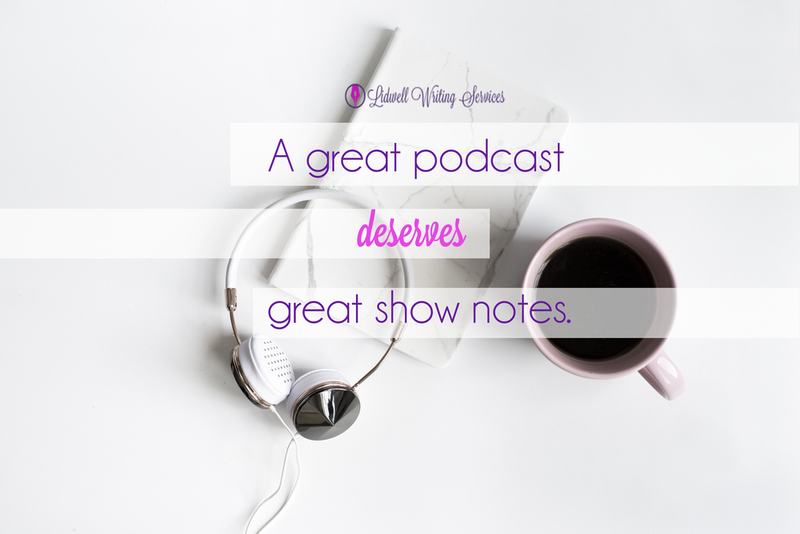 Do you have the time to go back through each episode, listening intently, and noting the important details you want to include in your show notes? When you outsource your podcast show notes to an experienced, detail-oriented writer, you are more likely to have high-quality, detail-oriented content. 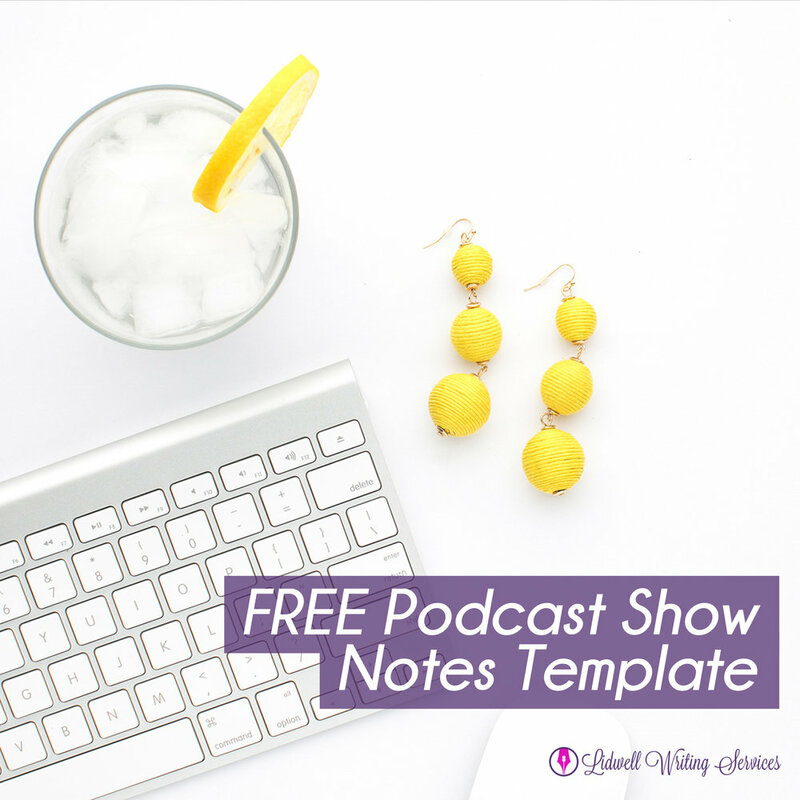 Podcast show notes writers, like myself, listen to your episode and take their own handwritten notes, outlining specific details, phrases, quotes, and resources mentioned in your show so they can later incorporate them into your show notes. That is how a professional does it. Probably one of the biggest advantages of hiring someone else to write your podcast show notes is the time-saving benefits. After you've spent countless hours preparing the content for each episode, recording, and developing a course of action to promote your show, it leaves little time to do much else. Writing show notes is time-consuming. In the business world, though, "time is money." The same is true about writing high-quality, detail-oriented podcast show notes. Let me reiterate the question: How many hours do you devote to the pre- and post-production of your podcast episodes? How much would you pay to hire someone to remove the time-consuming task of writing your show notes? Outsourcing this task can free up a huge chunk of your time - for the right price. Many podcast show note writers will agree that for every minute of recorded audio, that's 2 to 3 extra minutes of their time. 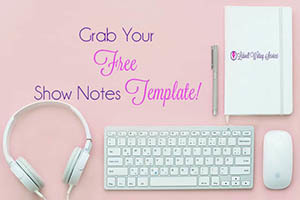 Show note writers often have to pause, jot down notes, then continue to play the episode multiple times in any given episode - not to mention the amount of time it takes to actually write the show notes or find links to resources, guest's websites, and so-on. So, a 30-minute podcast episode can easily take an hour to an hour and a half for the writer to complete the show notes. And, if you prefer show notes that are transcribed with timestamps included, that will take the writer even more time - and, subsequently cost more. Time is money - but outsourcing the "tedious" yet crucial task of writing quality, detailed podcast show notes can help any podcaster save time to devote to other important things, like growing their business or spending time with their family. You could write your own podcast show notes, but do you really have that kind of time? 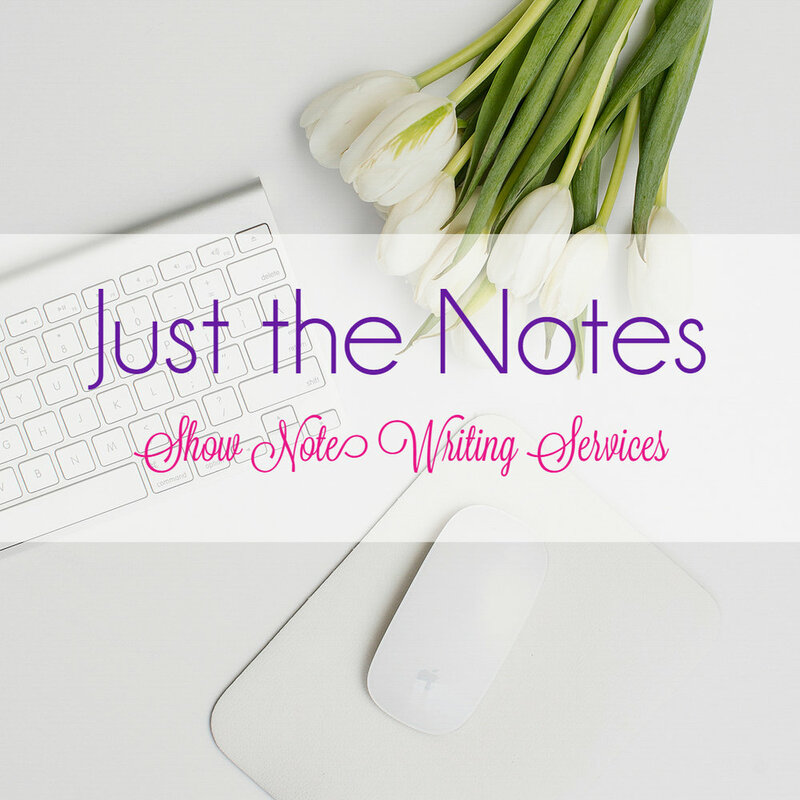 Know of other advantages to outsourcing your show notes writing task? Perhaps you have questions, comments, or other ideas you'd like to share? I'd love to hear them! Comment below!